This charge controller help control the charging current that sent from your solar panels to your dc battery bank. This 25 amp charge controller and be used with 12 volt and 24 volt battery banks. All solar power systems require a charge controller so that your charging current doesn't damage your reserve power. Solar charge controllers keep your batteries safe. 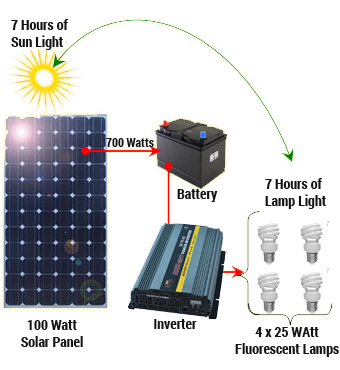 A solar charge controller is required for any solar array of 12-Watt or higher. Solar panels are unregulated and can have a-voltage higher than necessary to charge 12-volt batteries. 25-Amp Solar Digital Charge Controller will prevent overcharging of batteries by regulating the-voltage from a 12-volt solar panel to a safe level for charging 12-volt batteries. Designed for use with 12-volt solar panels this solar charge controller is safe for use with up to 25-amp or 600-Watt from a solar array. This controller will also prevent over discharge of your battery as well as protect from high-voltage surges, short circuit and loss of power through the solar panel at night. A digital LCD screen displays charging current, load current, and battery-voltage in 5 second intervals. Two LED lights display charge function and battery status. A load terminal on the solar charge controller let you dedicate one item to run through the controller, when the batteries reach critical-voltage the load will be automatically turned off to prevent a dead battery and allow the solar panel to recharge the battery before the load turns on again. This feature helps to prolong the life of your battery. This charge controller may also be used with 24-volt solar panels and batteries. The charge controller is self-adjusting and will automatically set the charge cycle. You can connect multiple solar panels up to one controller so long as you do not exceed 600-Watt or 25-amp. The charge controller is meant to be permanently connected to the battery and the solar array even when you are drawing power from the battery. Solar charge controllers should installed close to the battery in a dry and ventilated area.